From an early age Mark has been passionate about outdoor activities and the ocean. He started his outdoor career as a voluntary instructor aged just 16, and since then he has worked all over the world with groups from every conceivable background and age as well as studying for a Higher National Diploma in Outdoor Education and a BSC (Joint Hons) in Outdoor Education and Environmental Science. He is multi qualified, highly experienced and active practitioner in both land and water sports, delivering coaching, guiding, instructing and training in several disciplines. 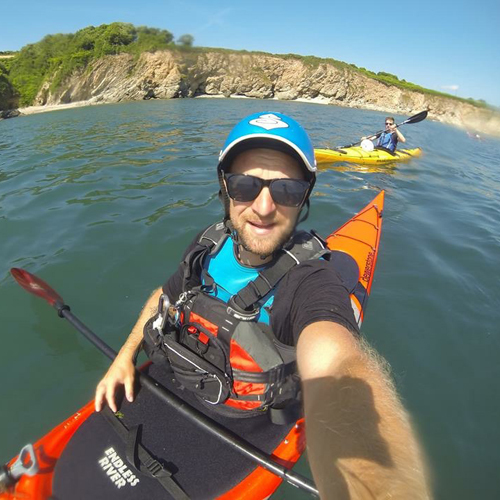 In his role at EBO Mark runs day to day activities, oversees operations as well as delivering training in Beach Lifeguarding, Coasteering, Paddlesports, Team Building and Bushcraft. I’ve always been a water baby but my love of water sports was cemented with PGL trips to Europe when I got hooked completely. I’ve tried several different sports, competing at white water kayaking till I found surfing at 15. Or maybe surfing found me. Since then I’ve trained as a professional judge for the UK pro surf tour as well as the Europeans and even had some experience with the WSL. I came to coaching in later life as a natural progression and take great pleasure in watching people ride their first wave or progress with confidence. My sports of choice are surfing and SUP however anything water based is ok with me!! Grant learnt to surf when he was 15 and pursued it has a hobby for several years afterwards. He’s travelled to 6 continents in search of waves and picked up a lot of experience in the water along the way. After moving to Cornwall 6 years ago to study marine conservation and marine biology he began surf instructing and was trained by the best to become a lead coasteer guide for EBO. 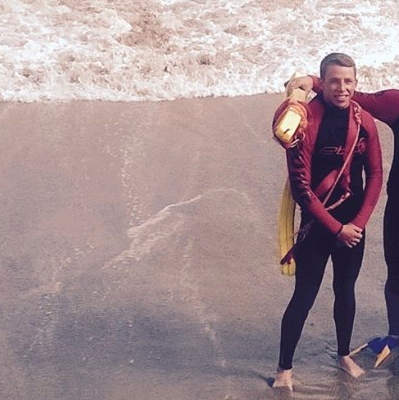 In his role with EBO Grant has been running coasteers and surf lessons for all ages, group sizes and abilities throughout Cornwall for several years. When in the RAF I was able to explore many country’s and under go loads of adventure training gaining lots of experience in many activities. After completing my service I knew I wanted to do devote my time to the outdoor world and decided to complete the EBO adventure instructor course. This was the best experience I’ve ever had working with such great instructors such as Mark, Ben and Pete learning at an incredible rate. Now fully qualified I’m working for EBO as a freelance instructor and I am having the best experience, working with such highly renowned instructors and being in the environment I love the most. I have always been involved with AT ever since I can remember, doing as much as I could during my time as a weapons engineer in the submarine fleet of the Royal Navy. Including multiple expeditions to New Zealand, Wales and Scotland and becoming a snowboard and mountain bike instructor. Whilst still serving after 8 years in the RN I decided to leave and pursue a career in the Adventure sport industry. I came to EBO and enrolled on to the Internship Scheme as a part of my resettlement programme and 5 years down the line I now work Freelance for EBO, Best Job in the world!! Pete has been climbing and mountaineering for 30 years. His experience is extensive, and ranges from climbing on the sea cliffs of Cornwall to summiting Himalayan giants. During his time in the Royal Air Force as an aircraft engineer(22years) Pete was heavily involved with the RAF Mountaineering Association and the RAF Kinloss Mountain Rescue Team. He has led many highly successful climbing courses in the UK, and expeditions abroad. In 1997 he led a highly successful expedition to Canada, making the first British Services ascent of the celebrated SE Face of the Lotus Flower Tower, in the Cirque of the Unclimbables. A feat he describes as his finest achievement. 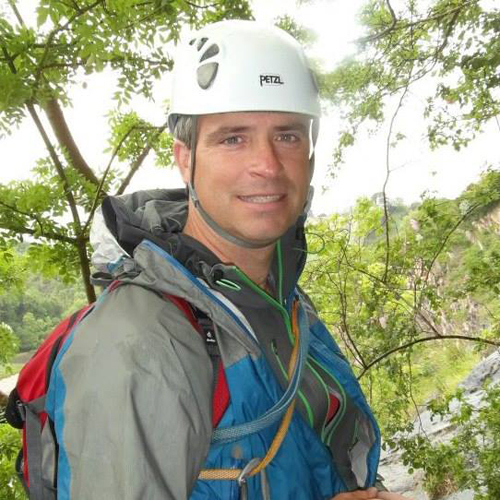 For the past 7 years, Pete has worked in the outdoor industry full time. At EBO Adventure he is the Technical Adviser of climbing activities and heads up the climbing element of the Internship/Instructor Training Programme. 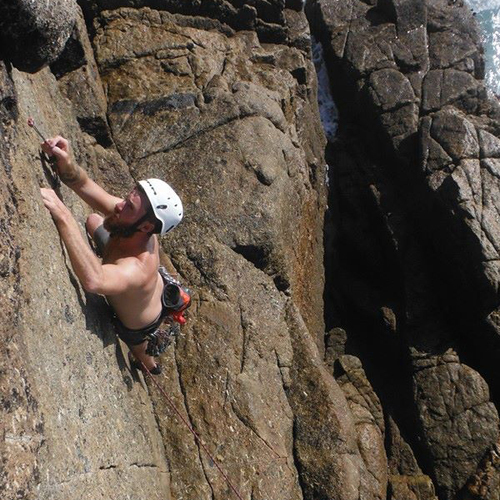 He is a Mountain Training Course Director for Single Pitch Award(SPA)/Climbing Wall Award(CWA)/Lowland Leader Award courses, and regularly guides clients up multi-pitch climbs on Cornish sea cliffs. Jessie began her adventure instructing career at the age of 19 as a windsurfing coach in Halkidiki, Greece, which fuelled her passion for adventure sports and teaching others. She then travelled to Canada and achieved her CASI level 2 snowboard instructor qualification, leading her to teach on slopes from Switzerland to Japan. She currently works as a published surf photographer with an international portfolio of images, featuring regularly in surfing magazines. Her love of the ocean, adventure sports, and photography has taken her all over the world, which is ever apparent when she’s in the water teaching. 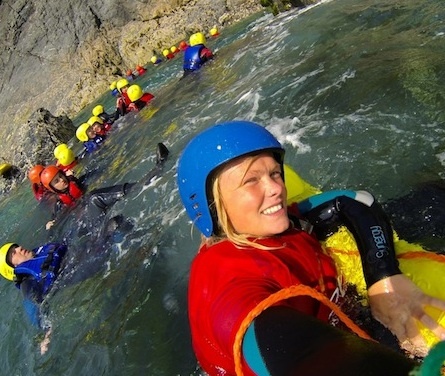 Jessie loves being based in Cornwall where she instructs surfing and coasteering with EBO Adventure, combining her work with play!